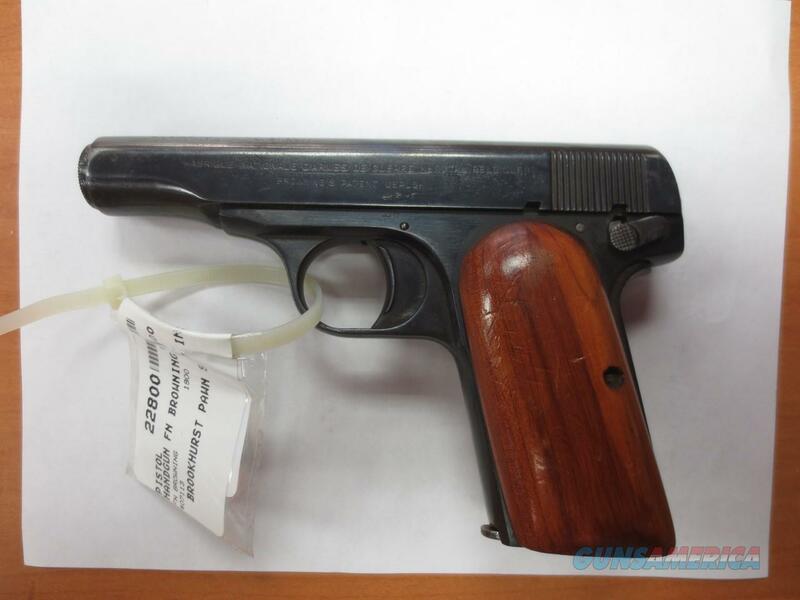 Description: FN Browning mod# 1910 w/custom wood grips otherwise the rest of the pistol is all factory original. 3.3" barrel with 1 single stack magazine. rear grip safety like a colt pistol. Hammerless w/ slide lock lever on the left side. probable reblued 30 years ago. action is tight & ready to fire. OK as a C&R in store sale or sell outside of California..